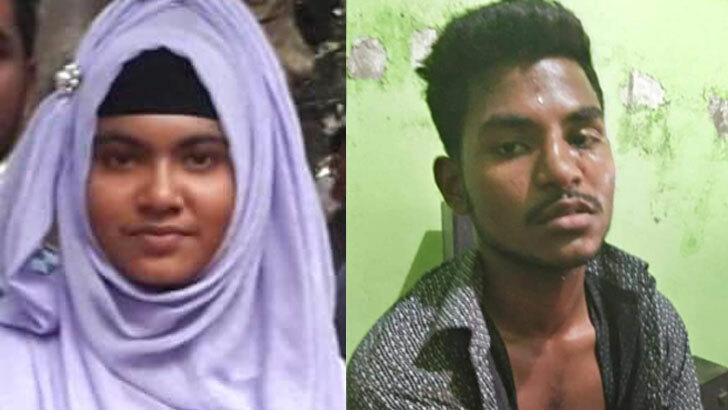 Most college students named Mustakin Rahman Raju (17) were stabbed and killed by a student named Sharmin Akhter Liza (16) not to accept his love in Gazipur. Police arrested Mostakin Rahman Raju in connection with this. I arrested a student at Mostakin at Lincoln Memorial University in Kanabari. He is the son of Abul Kashem of Salna region under Sadar upazila of Gazipur city corporation. They reportedly borrowed a house in the Konbari Ambag area. Sharmin Akhter Liza, the deceased, was the daughter of Shafiqul Islam Shafir of the Ambagh region than Konabari of Gazipur City Corporation. She was a student at Konbari Cambridge College. Police and the victims' family said Sharmin went to college in the morning to take the test. At the end of the test, Mustakkin, who returned on Sunday afternoon, offered her love when Kanbari arrived at Linking College in the Kanchabari area. Mustakin stabbed Sharmin, who blocked the offer. Later, Sharmin was rescued and taken to a local hospital. After taking the doctor to a hospital in Dhaka, the doctor declared to kill Shardin. The locals arrested the Musstian and handed it over to the police. Said Konabari police chief. Emdad Hossain said Mostakin Rahman Raju was arrested in this case. The body was sent to the Gazipur Shahid Tajuddin Ahmed Medical College Hospital corpse. Legal action is in progress.